For added convenience, we are pleased to offer as an additional rental option our Professional Uniformed Restroom Attendant with your Fountain Head TOILET portable toilet rental. Professional Uniformed Portable Restroom Attendants are available to maintain cleanliness of this luxury portable toilet rental during your special event so you don't have to. Our trained professional portable restroom attendant will clean your porta potty rental/s after each user to ensure every guest is guaranteed a clean visit to the Fountain Head TOILET portable restroom. 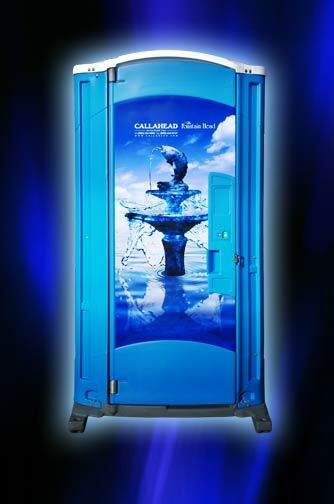 Another first for the portable toilet industry, is the CALLAHEAD designed FOUNTAIN HEAD portable toilet. 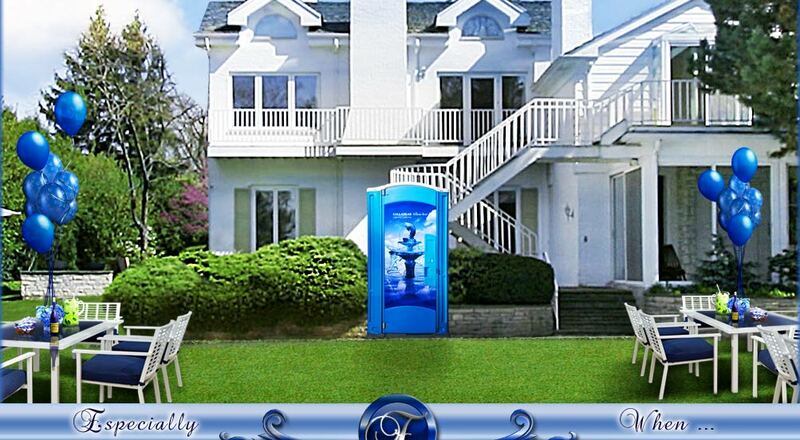 This is a portable restroom that is undoubtedly a work of art for your special event that will have your guests taking a second look to see if you really installed a fountain in your backyard! This is a piece of art that will be the talk of your event while operating as a fully equipped outdoor VIP portable restroom. 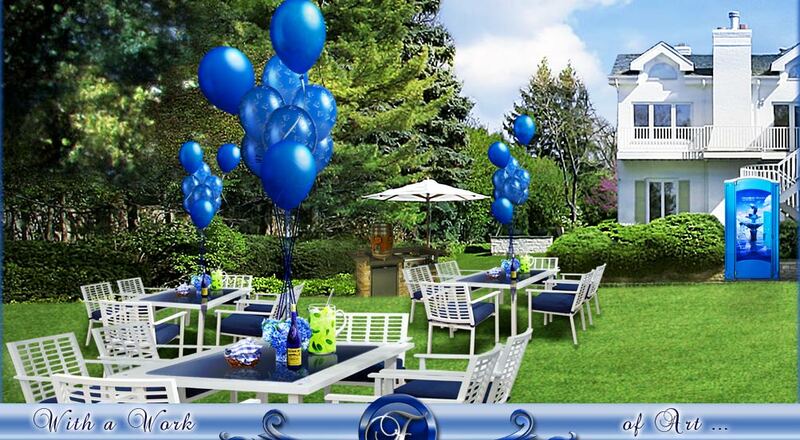 The FOUNTAIN HEAD will decorate your event with the utmost class. 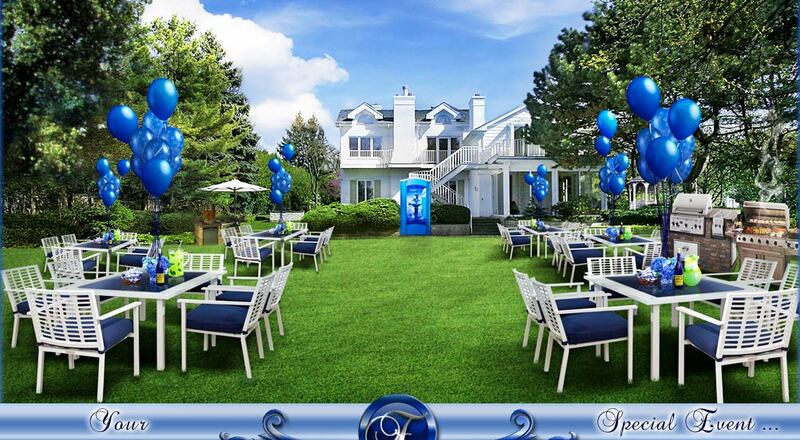 A perfect porta potty rental for every special event including, backyard and house parties, outdoor wedding receptions and wedding ceremonies, baptism parties, bat mitzvahs and bar mitzvahs, graduation parties, bridal and baby showers, bachelorette and bachelor parties and any birthday party in need of outdoor restroom facilities. This portable toilet rental has it all from the inside out. 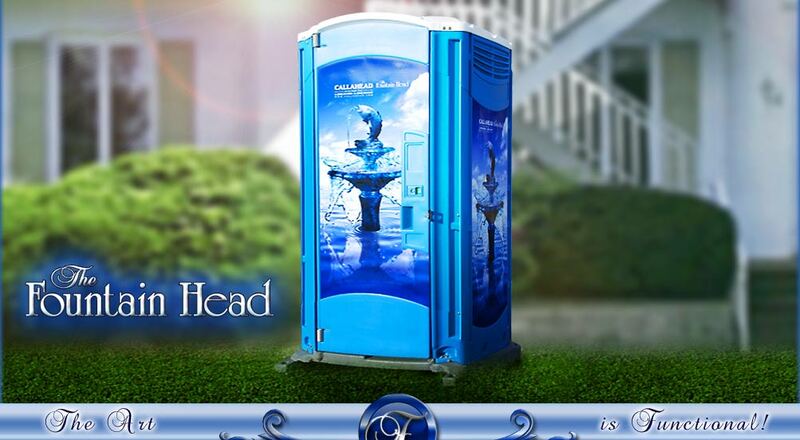 Your special event guests will be delighted to use the FOUNTAIN HEAD porta potty! The interior is equipped with a flushing toilet that has a hand operated flushing handle for easy use. Guests will appreciate a closed cavity tank so they never have to view waste. A separate non splash urinal inside the port a potty will keep the portable restroom cleaner and will be greatly appreciated by women at your special event. A full sink with foot operated pump for hands free operation provides better sanitary hand washing. We installed our soap dispenser above the sink of this portable toilet and filled it with our antibacterial soap that kills 99.9% of germs and bacteria. The FOUNTAIN HEAD comes standard with CALLAHEAD's HEADLINER toilet seat covers so every guest is ensured of a clean dry sanitary seat when using your portable restroom. Another perk, we installed our HEADMIST automatic air freshener dispenser on the porta potty's interior wall which releases a continuous clean fresh scent so that every user has a pleasant trip to the portable restroom. Dual roll cover toilet paper dispenser, coat and hat hook, convenience shelf and lockable door with occupancy sign to ensure privacy make's this a fully loaded VIP special event porta potty rental. 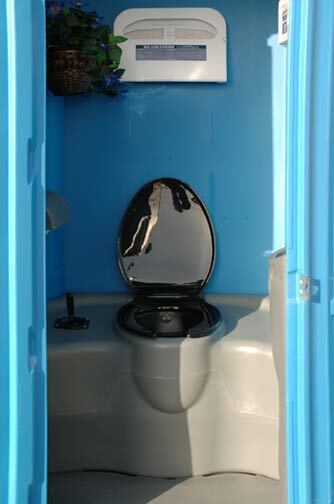 The FOUNTAIN HEAD porta potty's interior is completely ventilated with floor and ceiling vents for excellent air circulation. It has a translucent roof for bright natural light during the day and a solar powered light for evening and nighttime use. 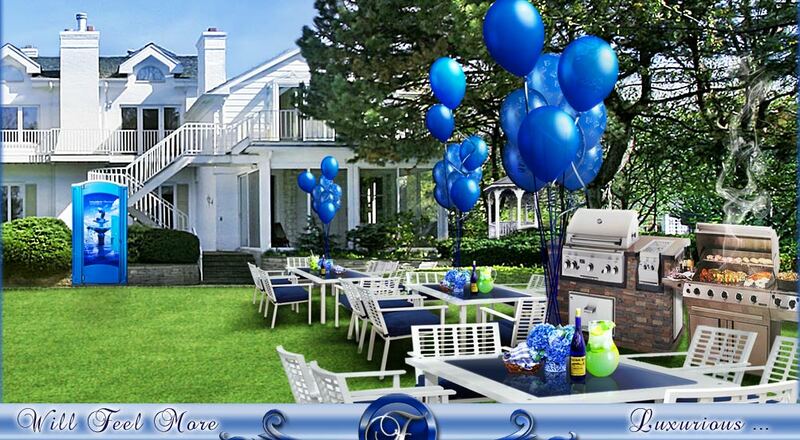 CALLAHEAD customers throughout New York's five boroughs of Queens, Brooklyn, Staten Island, Manhattan and the Bronx as well as Nassau and Suffolk Counties on Long Island and Westchester County in New York all love our specialty VIP and designer portable toilets. CALLAHEAD's state of the art porta potty's are the most wanted porta potty rentals in all of New York. We bring not only the cleanest and newest porta potties in New York but also the most beautifully designed portable restrooms available anywhere. The FOUNTAIN HEAD is available for same day delivery throughout Nassau and Suffolk County, New York City's 5 boroughs of Manhattan, Queens, Bronx, Brooklyn and Staten Island as well as all of Westchester County. 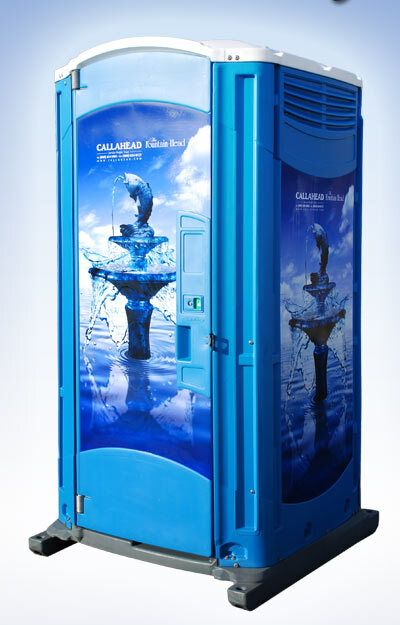 We provide luxury and excellence in the portable sanitation industry that only CALLAHEAD portable toilet rentals can provide at an affordable and fair price. For service that is guaranteed and excellence in the portable sanitation industry you have to CALLAHEAD for all of your New York porta potty rental needs. The following is a list of special events where the Fountain Head TOILET luxury porta potty is most commonly rented. However, this portable toilet is an ideal rental for just about any outdoor special event, indoor special events with limited restroom facilities or public location where portable restroom facilities are needed.